Astarte Moon Inspirations a life closer to nature's rhythms : The Pagan Wheel of the Year; starting out on your own journey. The Pagan Wheel of the Year; starting out on your own journey. 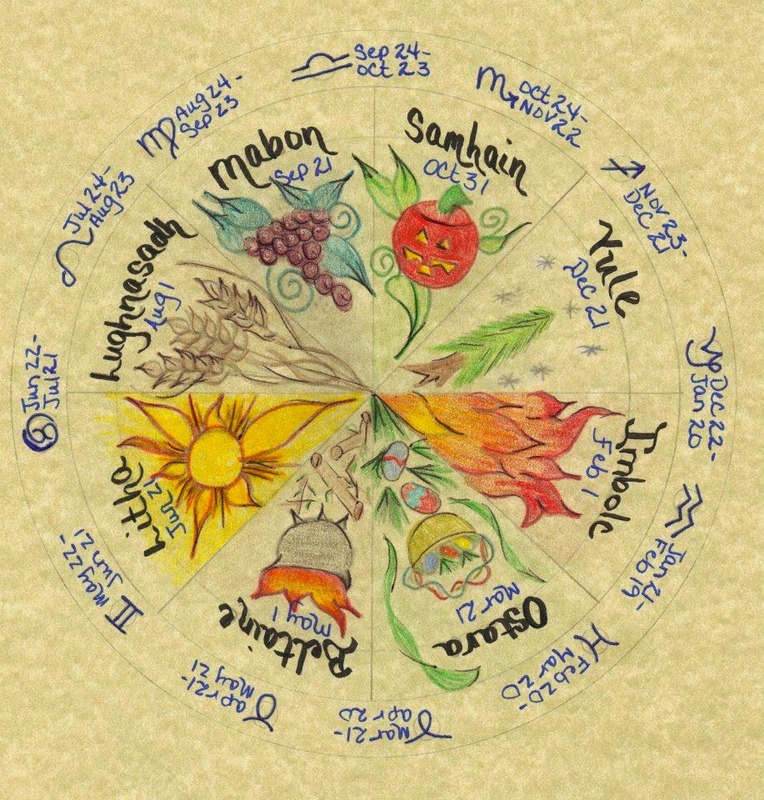 The cycle of seasons a lot of Pagans follow is commonly called the wheel of the year. Special events are often described using the Wiccan terms Esbat and Sabbat. Esbats are ritual celebrations of the moon phases. These are often performed on the nights of the full and the new moon. Sabbats are celebrations of the changing of the seasons. They occur approximately every six weeks, with every celebration a noting of the change in the seasons and celebrating all that we can give thanks for. One of the practices followed by Pagans is adhering to the Wheel of the Year. The year is divided into eight seasons called Sabbats and the beginning of each Sabbat is celebrated. I believe that following the seasons in this way brings us closer to nature, more in touch with our earth’s natural rythyms and thus more in touch with our inner selves. Every six weeks there is a reason for celebration and giving thanks. Doing this helps us keep in touch with the changing year and allows us to celebrate the good in every change. This wheel of the year is based upon ancient Celtic Druid practices; the continuous cycle lends itself to the image of a wheel. The ancient Celts saw time as a wheel or spiral divided by eight festivals. The Wheel of the year is split into four major sabbats or Fire festivals and four minor sabbats or Solar festivals. The major sabbats represent the peak of the season whereas the minor sabbats represent the beginning of each turning point on the wheel. The minor sabbats are marked by the two equinoxes, spring and autumn, when day and night are of equal length, and the longest and shortest days, Litha and Yule. The major sabbats are smahin, imbolc, Beltane and Lammas. Below are the dates of each point in the wheel of the year and a very brief description. 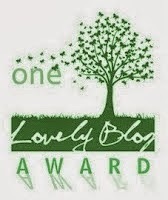 More detail on each Sabbat is given in the appropriate blog posts for that season. Samhain (pronounced -sow-wen) is midway between the fall equinox and the winter solstice, this is a major Sabbat. Samhain is the third harvest festival. It is a time for honouring and remembering our deceased loved ones. Yule is the Winter Solstice, the shortest day and longest night of the year, and the birthday of the sun. This is a time for looking forward to the return of the light and a time to remember the importance of family and friends. Imbolc is the midpoint between Yule and Spring Equinox. We celebrate the gentle signs of early spring, and of light returning after the darkness of winter. Imolc reminds us that spring is on its way and it is a festival of preparation, this is a time to prepare for any major projects in our lives. At the spring equinox day and light are of equal length, this this is a festival of balance. Oestara is a time to look at any imbalances in our lives and correct them if needed. It is a time to celebrate the Spring and is a fabulous fertile time for new ideas to be sown. Beltane is the midpoint between Spring Equinox and Summer Solstice. Beltane is a fire festival and is a time for fertility and creativity of all kinds. Litha is the time of the longest day and shortest night of the year. This is a time of strength and fertility when the sun is at it’s strongest. Lammas is the midpoint between Summer Solstice and Fall Equinox. This is the first harvest, when we rejoice in the first fruits of the season. This is a celebration of all that we are grateful for. Mabon is the major harvest or thanksgiving festival, It is again a time when day and night are in balance, a time for creating balance in our lives and finishing any un completed projects. You may like to meditate on which particular point on the wheel of the year calls to you? Which season is your favourite and which is your least favourite? By getting more in touch with each festival you may learn to love a time of the year that has traditionally been harder for you. If for example the shorter days are a struggle, concentrate upon the beauty that the turning leaves of autumn bring and allow yourself the time to look inward and nurture yourself. Below is a lovely pictorial representation of the Pagan Wheel of the Year from paganspoonie.blogspot. A wonderful way to start you on your own wheel of the year journey is to make your own. It doesn’t have to be a work of art by any means, you can draw simple images of what each festival represents to you. Another idea is to cut out pictures from magazines to represent each wheel of the year point, or write words that embody the season’s properties for you. I would love to see examples of your creations. It makes so much sense that the year starts with the time of harvest - the gathering of bounty that will keep us through the year. It is also the time when new growth begins with the falling of seeds and nuts. I really love the idea of 6 weekly celebrations - such a wonderful, joyful and exciting way of keeping close to the world and the seasons.